A website redesign can be one of the best things for your business. You can choose to have as much or as little of your website redesigned as you desire. This includes everything from changing the graphics to re-organizing the site with a new menu. Your website is one of the most important digital marketing tools, so it needs to be as strong as possible. Things change. If you have an older website design, it may be hurting your business. It’s important to stay on top of the trends, such as updating graphics and web content. When it comes to rebranding your business, you need to think about the demographic you are trying to reach. It might be time to include some new colors and graphics to your website. It may also be necessary to update the stock art that you have in place so that consumers know that you’re an up-to-date business. Remember, your website is often the first impression that you give a consumer. If your website isn’t relevant, they’ll assume that your products or services aren’t, either. A lot of new technology is out there. If it’s been a few years since you have updated your website, you may be missing out on some of the latest tech that can help you. For example, do you have a responsive website design so that it can be read on various mobile devices? If not, you may be losing the ability to connect with consumers who are going to use a tablet or smartphone to interact with you. 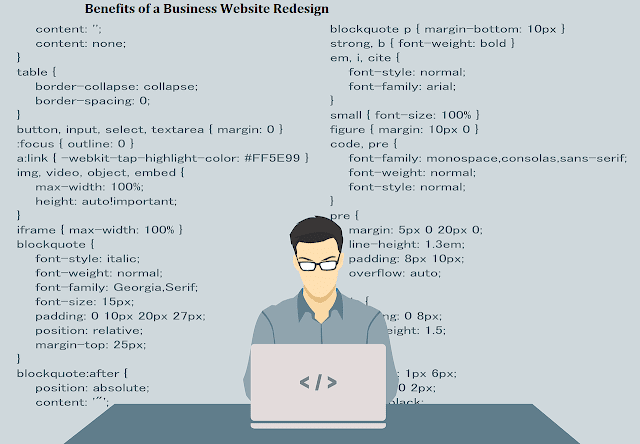 During a website redesign, you can include more features to connect to consumers and help to convert them into customers. Another benefit to a website redesign is that you can boost your visibility. If you haven’t thought much about search engine optimization in the past, you’re missing out. Think about how most people find the businesses they want to work with. They use a search engine to type in a few keywords. As such, you want to be seen in the result pages that follow. Your redesign can include new content, a well-organized website to help the search engine spiders, and plenty of new photos and videos. Rather than using stock photos, you can use real photos of your business. Meta tags can be used to make the photos more search-friendly, too. A link from YouTube embedded into your site can help tremendously as well. 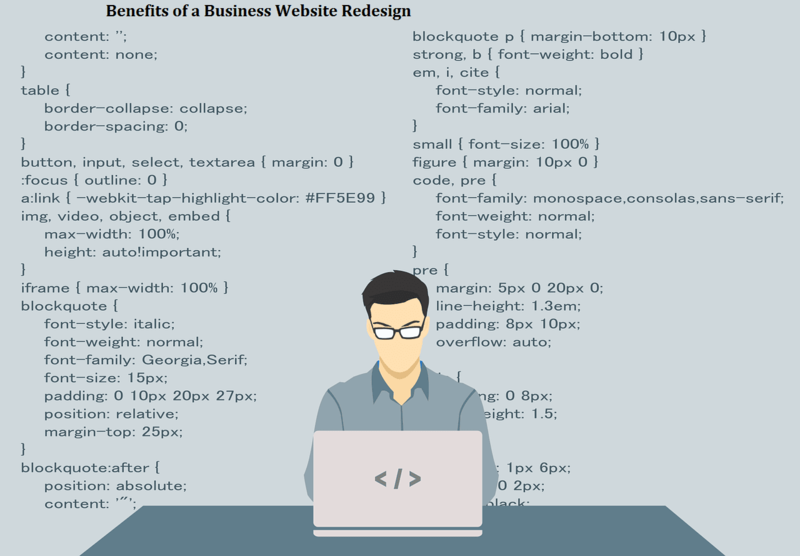 Ultimately, you can gain a lot of benefits from redesigning your website. Think about the goals you want to accomplish with a new design. From there, you can work with web development experts to ensure the necessary features are incorporated into your site. You'll start to see more traffic to your site, a higher conversion rate, and even more leads. A Link Building and Digital Marketing company can offer you highly professional services to meet all your SEO and website related needs. Get your cheapest link building and SEO analysis at The Digital Marketing Trends ! Save money and get results.